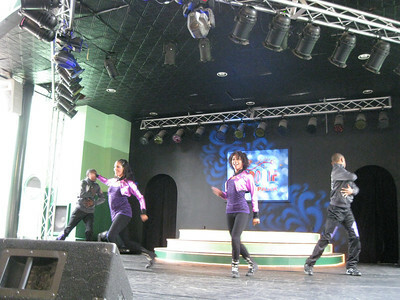 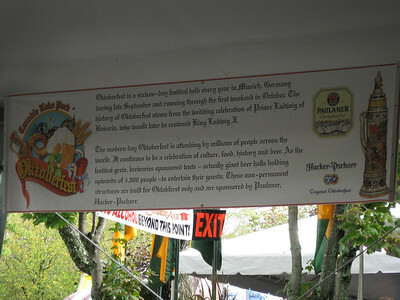 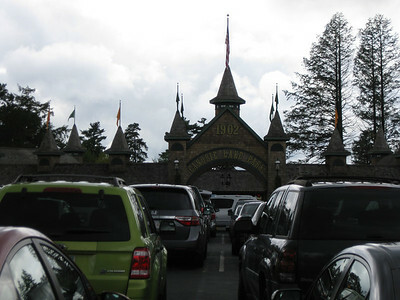 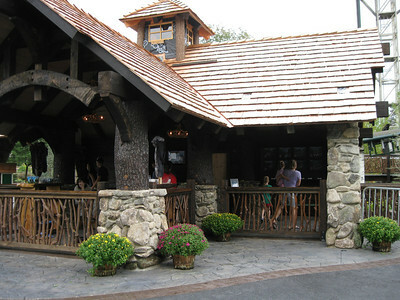 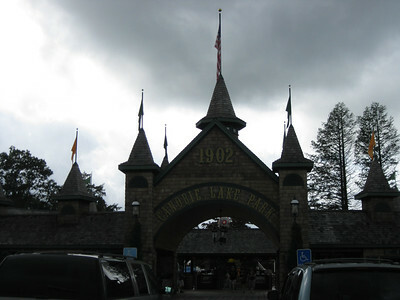 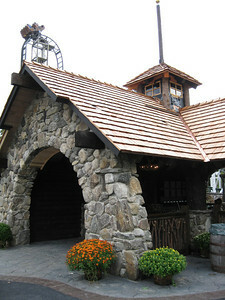 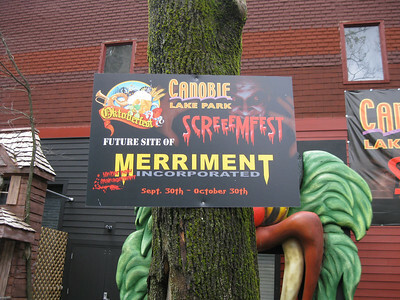 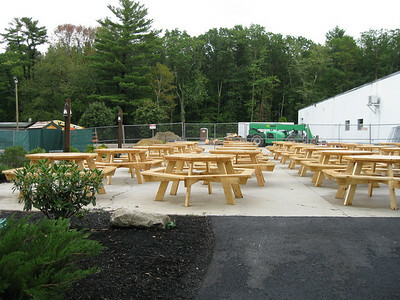 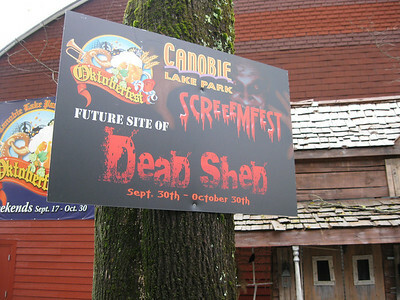 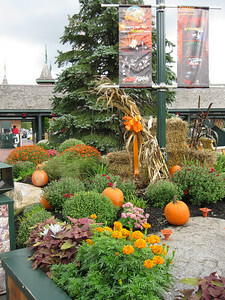 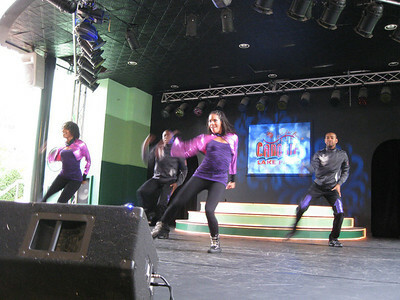 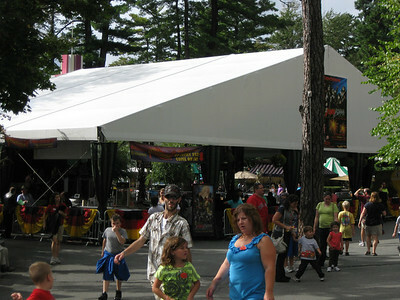 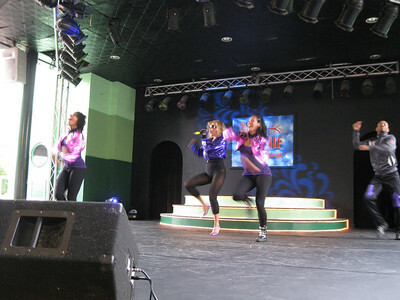 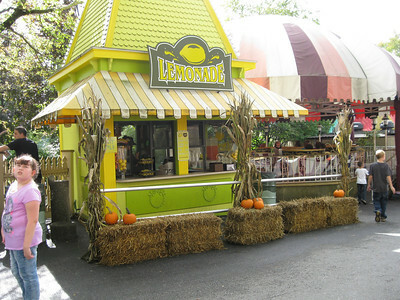 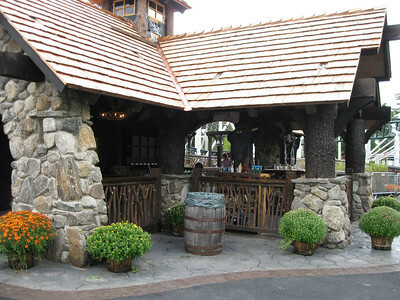 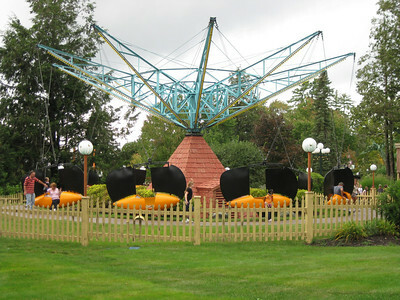 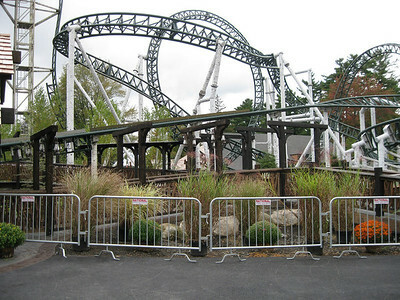 I visited Canobie Lake Park on September 24, 2011. 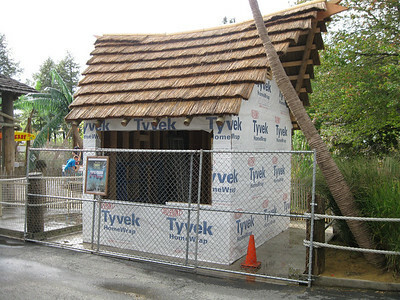 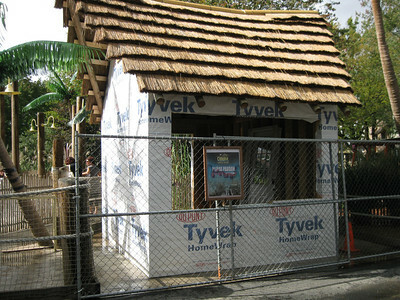 The Rad Tags dogtag stand was being renovated into a new tiki hut building. 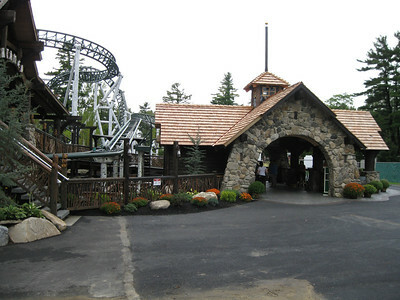 The new Untamed photo building was completed. 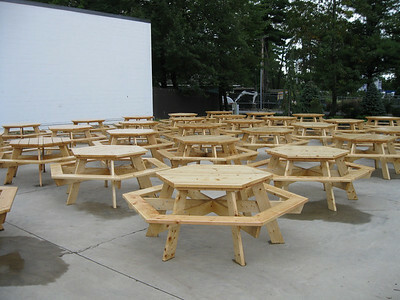 A flotilla of new wooden tables. 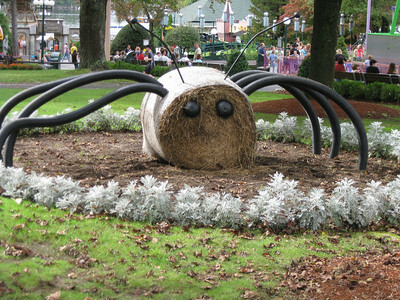 A spider made from a round bale of hay. 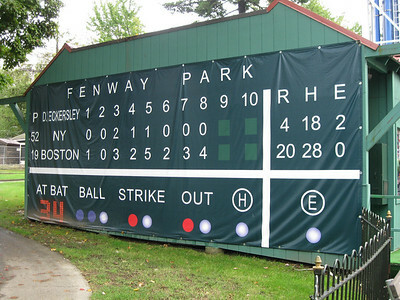 The Pitcher's Challenge game stand. 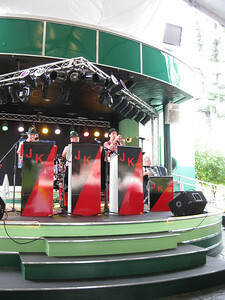 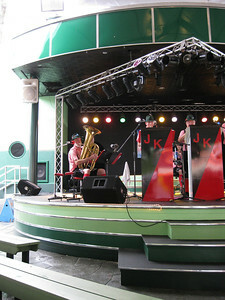 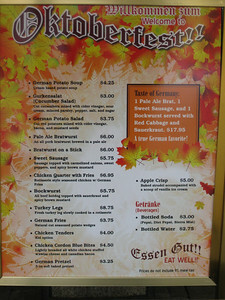 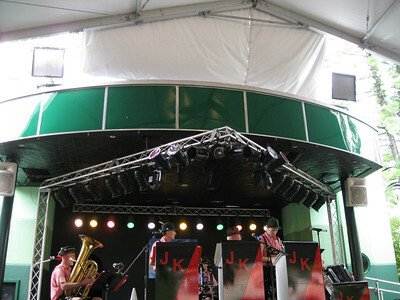 An Oktoberfest band. 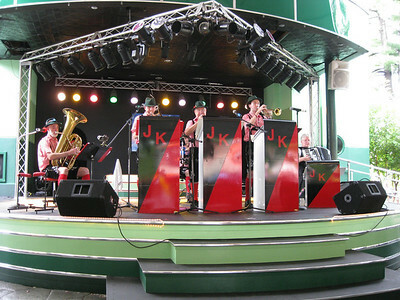 The Jolly Kopperschmidts German Band. 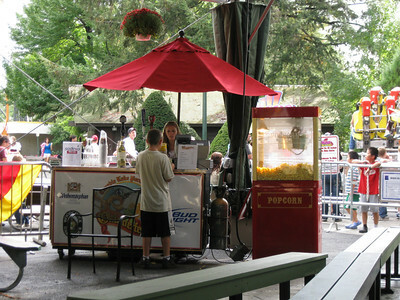 A beer stand in the Midway Stage tent. 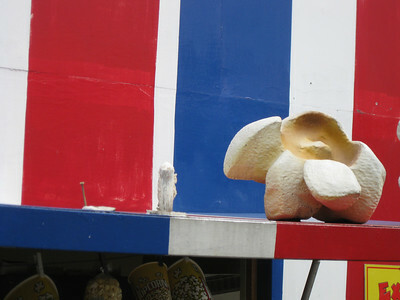 Missing popcorn kernel on the popcorn stand. 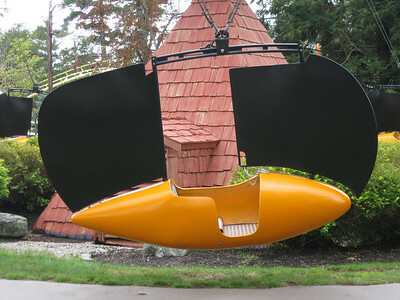 The Rowdy Roosters cars had been repainted. 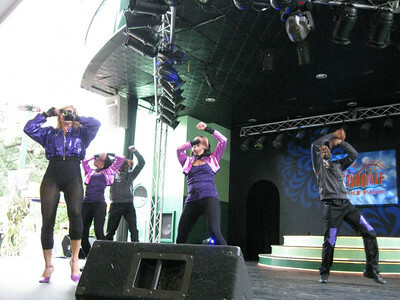 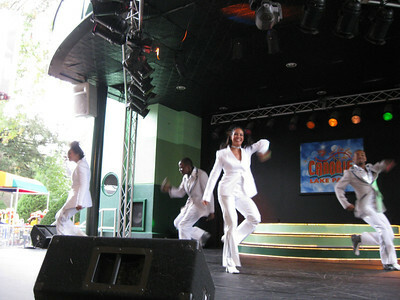 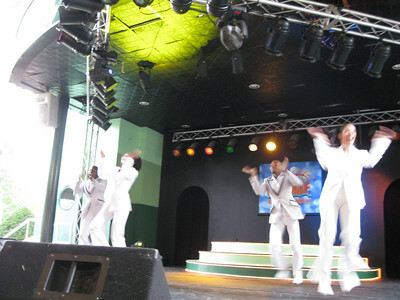 The Tribute to Madonna show on the Midway Stage. 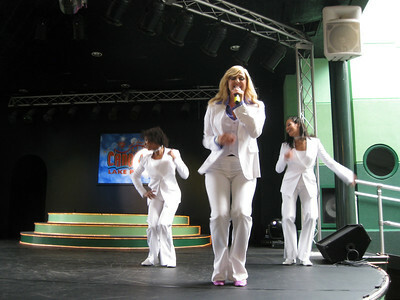 Melissa Totten was the Madonna tribute artist.